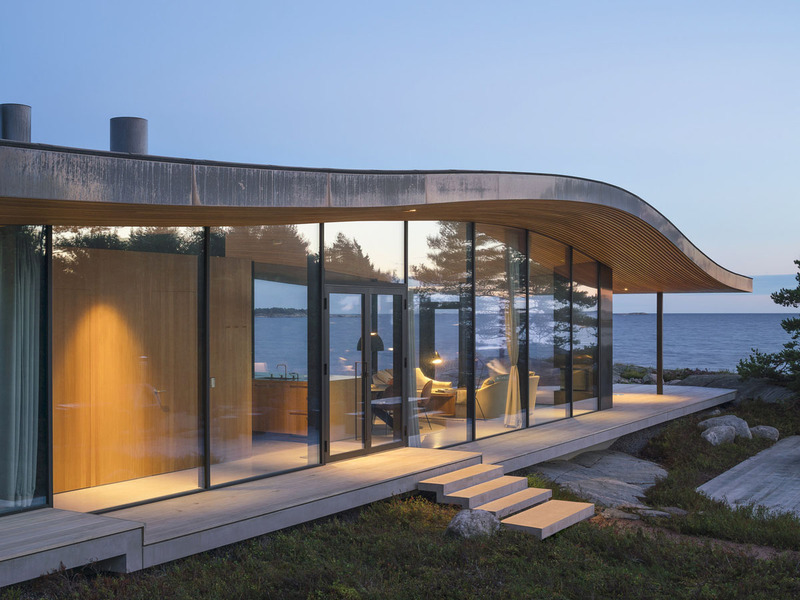 Nestled on a hill between a pine forest and the open sea in northern Finland, this summer glass house with panoramic windows makes the landscape part of the house. 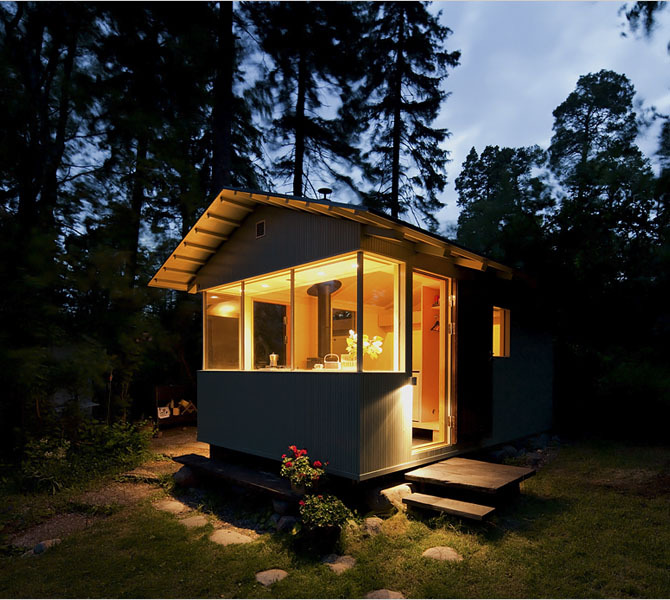 This tiny cottage in the Lauttasaari Recreational Park in Western Helsinki, Finland is an affordable and eco-friendly retreat designed by Finnish architects Jussi and Riina Palva. It is located just a quick 10-minute bike ride from the Palvas’ apartment in Helsinki. The cottage is heated by an HWAM fireplace. The couch converts into a bed. A stainless steel serving bowl from IKEA on the kitchen counter serves as a makeshift wash basin (a hose is just outside). A two-burner gas stovetop completes the kitchen. The 150-square-foot cabin costs around US$42,000 to build.